Extreme radio twinkling events are sufficiently rare that only a few examples have been studied. To address that problem we've developed a new technique for discovering extreme scattering. Rather than relying on the changes of brightness with time, which requires many observations of each source under study, we simply take a radio spectrum. Ionised gas, which causes radio twinkling, affects short and long wavelengths differently, and during extreme scattering events this leads to bizarre radio spectra as the source is in focus (bright) at some frequencies and out of focus (dim) at others. A single observation can thus tell us when a radio lens has moved in front of a particular object, so we can simply search through a large sample of radio sources and find examples of extreme scattering even though these are rare. 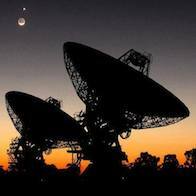 This new approach has been made possible by recent advances in the electronic instrumentation used on radio telescopes. In the past, telescopes could only record narrow bands of radio-frequencies at any one time, and over small bandwidths the effect of a radio-wave lens might not be apparent. But modern, high-bandwidth electronics can provide the radio spectrum of an astronomical source over a large range of frequencies simultaneously, allowing us to recognise the influence of lensing by ionised interstellar gas. 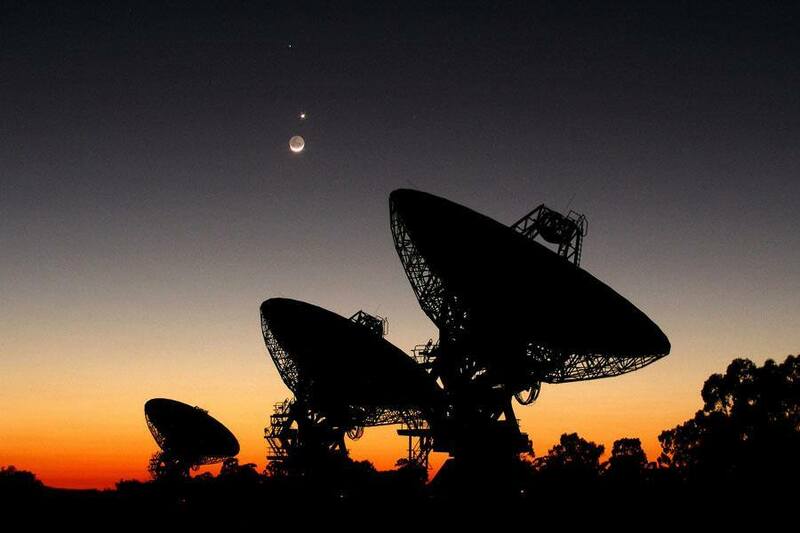 Our new method has been put into practice with the modern, wide-band intrumentation on the Australia Telescope Compact Array — a radio telescope located near the town of Narrabri, NSW, and designed, built and operated by CSIRO. Known by the acronym "ATESE", the project seeks to discover extreme scattering events while they're in progress, and to study them in detail with various techniques (radio, optical etc.). We're aiming to determine the structure of the ionised interstellar gas clouds which cause these events, and in turn to understand what shapes those structures. Between April 2014 and February 2015 the ATESE project measured over 10,000 spectra of roughly 1,000 radio quasars, with varying cadence that averages to roughly once per month. Amongst these survey data we discovered a radio lensing event, and we collected a great deal of detailed information about its properties (Bannister et al 2016). This is the best-studied example of any such event, ever, and we were able to determine the ionised gas density of the lens which caused it (Tuntsov et al 2016). ATESE is a collaboration between Keith Bannister (PI), Jamie Stevens, Hayley Bignall, Cormac Reynolds, and Simon Johnston (all at CSIRO), and Manly Astrophysics.